Disclaimer: This product was hand selected by me and sent to me to test for my honest review by iFabbo and Own Skin Health. All opinions are 100% my OWN. I am NOT being paid to do this review. 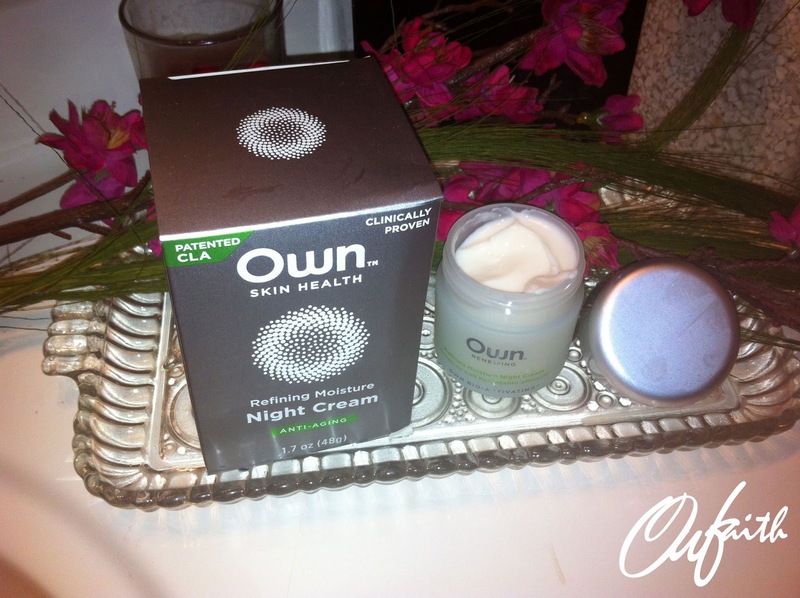 This review is based on my opinions and experience with Own Skin Health Refining Night Cream. Being that I am a makeup artist and promoter of healthy skin I can truly appreciate this product for what it is. My job as a makeup artist is not only to promote what I do but to promote the importance of taking GOOD CARE of your skin. I practice it on myself because it's one thing to tell someone that it's important to care for their skin but it's better when you can tell someone from experience. You're not only talking about it but the proof is there. I have minimal problems concerning my skin. I can say that I lack moisture in certain areas of my face, I have a little redness around my nose, I have relatively dry skin and no UV damage and very few fine lines on my forehead and where my smile lines are. 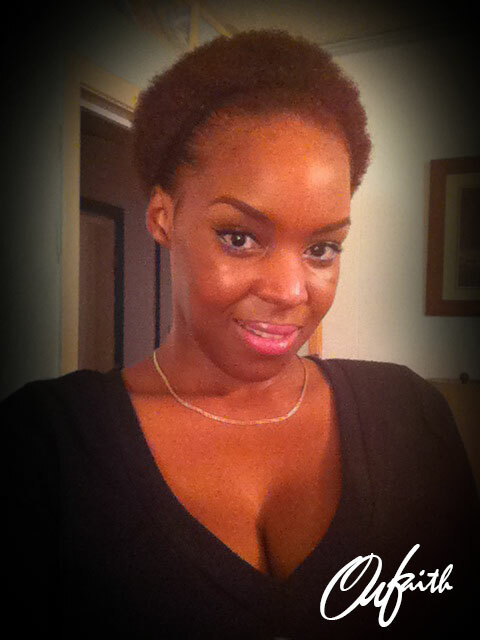 I maintain a healthy skincare routine where I cleanse, tone, exfoliate (3 times a week) and moisturize my skin. When going out I make sure I protect my skin. However even though I take care of my skin I still have minor problems which can be huge problems. I drink water more than anything else however I don't drink enough water within a days time which can really put a damper on my skin. Skin needs hydration! ALSO! I lack sleep which creates dark circles around my eyes when I'm really restless. I also struggle with uneven skin-tone which I'm working on currently. Now I'm pretty sure some of you all have seen previous reviews of this product so I won't be repetitive. 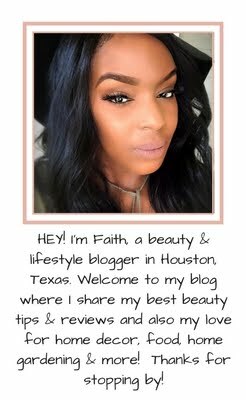 As a beauty blogger and makeup artist I like to dig deeper and educate on a deeper level. Because that's what I love to do. Sharing is Caring Right?! So with that being said I was sent the Own Skin Health Refining Moisture Night Cream. 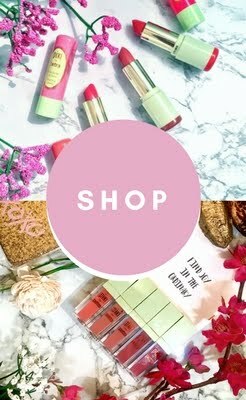 I'm a lover of skincare products and if it works I will be a loyal customer and would share to the world. 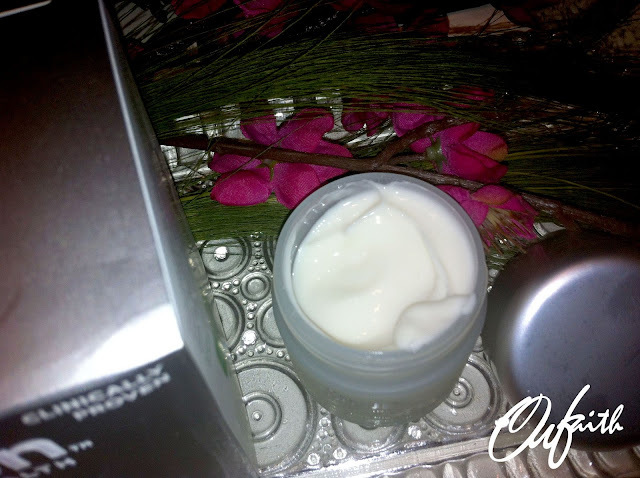 This night cream is Clinically Proven & Anti-Aging. It says that it improves Firmness, Evenness of skin tone and the softeness. It boosts collagen for firmer and fuller looking skin. It enhances cell turnover for a more even skin- tone. Which I was told that it takes 2 months for the new cells to come in. It also improves skins moisture barrier for softer and smoother skin. On the website it mentions that this formula fights all three causes of aging while you are resting. 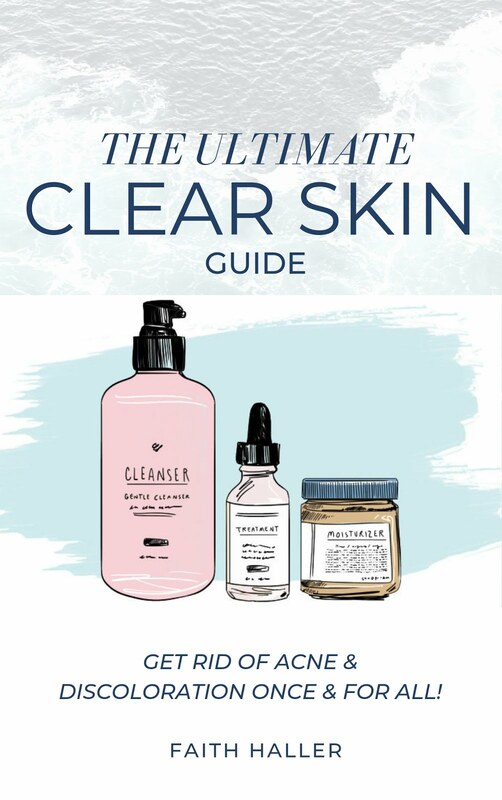 It's Clinically proven CLA (Conjugated Linoleic Acid) which is a plant-based ingredient is designed to enhance collagen levels, improve moisture retention (which I need), and boost metabolism for softer, smoother, and genuinely younger-looking skin which I'm sure WE ALL DESIRE! I can't imagine anyone not wanting to feel and look younger. According to the website 94% of women who tried this particular product reported that it absorbs easily and penetrates the skin quickly. One of the main things I try to tell my clients and also my followers is it's not about the packaging. This packaging is BEAUTIFUL and would inspire anyone to buy it HOWEVER it's not about the cover but what's inside. And what I mean by that is THE INGREDIENTS. The ingredients is what makes up the product. And once you learn more about the ingredients and what your skin need to feed it you'll know what to look for. So first I'm going to list the ingredients being that was one of the FIRST things I looked at. Normally they say that the first 5 ingredients are the most important. I say all are important but I'm going to give information on the first 5 and then I'll challenge you to look up the rest if you're truly interested. Because I must continue on with this review. Water (Eau) - Water the most natural form of ingredient is also a great moisurizer that increases elasticity, and replinishes skin cells and tissue. (Eau is french for water so don't read too much into that. )Water is a form of hydration for the skin. Skin is the largest organ on the body. Pelargonium Gravolens Flower/Leaf/Stem Extract - Is an essential oil that is uncommon species plant in South Africa. It has a wide variety of scents such as: rose, citrus, mint, coconut, nutmeg as well as various fruits. However the most important commercial scent is Rose. It's also referred to as Geranium Essential Oil. Geranium is very therapeutic: It calms, de-stresses, ease tension, fights anxiety, its good for poor circulation and more! This particular essential oil has anti-aging properties. Glycolic Acid - Is very popular and is used in a lot of skin care products. 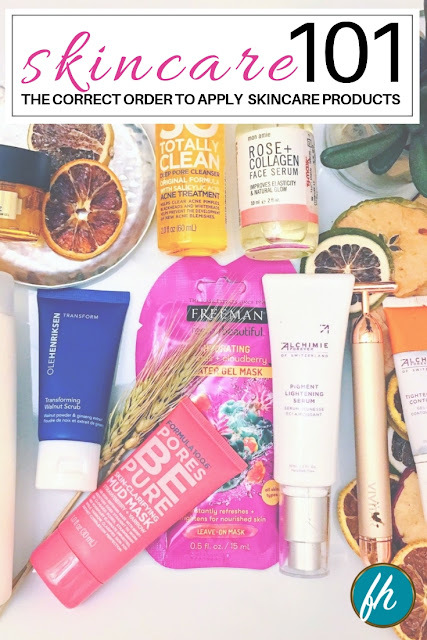 According to About.com "Glycolic Acid is a natural ingredient derived from sugar cane, though it is now often made synthetically. It falls into the set of ingredients called AHA's also known as alpha hydroxy acids." How does it benefit our skin? Glycolic Acid is an exfoliator. It safely removes the outer layer of dead skin cells on the surface of our skin, bringing fresh new skin to the surface. Coco-Caprylae - is a mixture of esters from coconut oil that provides lubrication and antimicrobial properties. Its a deeply penetrating moisturizer and anti-oxidant. It's beneficial for dehydrated, itchy and sensitive skin. And it won't clog the pores. Glycerin - Oh I know so much about this natural humectant. Glycerin acts as a natural preserving agent. It re-moisturizes and lubricates the skin, promotes skin softness and smoothness. Comes from various of plants. So these are the top 5 ingredients in this product. I think these ingredients speaks for itself. And we can clearly tell that the product is good. The Proof Is In The Ingredients!!! This is why it's SO important to research and read into the ingredients because nine times out of ten the ingredients will back up the actual product and anything it says it does you'll able to prove it for what it is. So I could stop here with this review but I have to give you all photos and proof. Photos don't lie either! I also must add that this product is *CLA Patented Plant Technology. So I decided to take some before and after photos. Nothing like before and afters Right?! This is me before and after. I automatically see a difference in my before and After. 1. 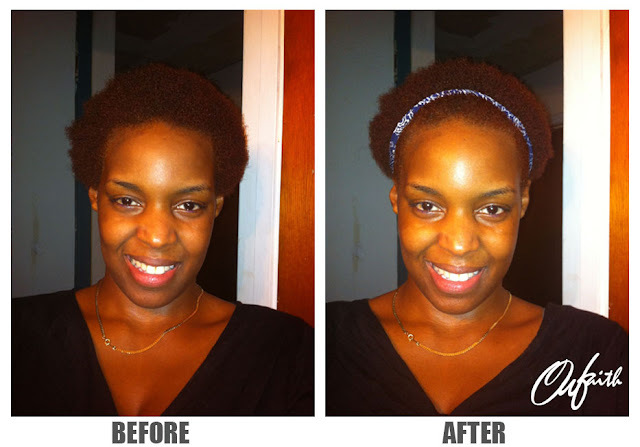 My skin was obviously dry in certain areas in the before picture and in the after my skin was INSTANTLY hydrated. As I said earlier my skin lacks moisture. So this get's 5 stars for me! 2. It instantly penetrates into the skin. Which in one of the ingredients that was related to Coconut Oil it talked about this. Coconut Oil which I am very familiar with is not oily oily at all. It hydrates and moisturizes and does not clog the pores. So if you're looking for something that instantly moisturizes and doesn't clog the pores then this is something you need to look into. Especially if you have Oily to Combination Skin. Oil cancels out Oil and for those that have oily skin you don't want anything that will clog the pores. That's what causes reproduction of oils and acne, and breakouts. 3. This product works for ALL skin types so no one is exempt from it. 5. It has a rosey scent. So it's not overbearing and it does not irritate the skin. I have very sensitive skin and can't take products with perfume in it. But this is something that will work for anyone. 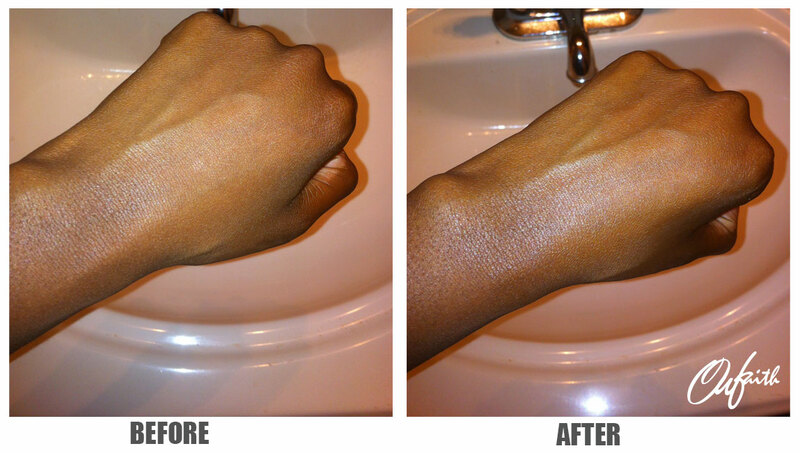 The next day I noticed a difference in the texture of my skin. My skin was still hydrated the next day which is rare. In this photo I have lip gloss on and eyeliner but nothing on my face. I was loving my skin so much I didn't want to put makeup on. So I did some swatches on my hand to show you more photos. You see the difference???? My skin looks a bit more even, smooth and youthful. It's not oily at all. Frankincense is an ancient essential oil that rejuvenates aging skin, reduces oil production for oily/combination skin, tones and lifts skin, fades scars, and acts as an overall anti-ager. This essential oil is used in aromatherapy to relieve stress. Adding this to your Own Night Cream treatment will only make the experience better! Own Skin Health also has an app that will make your experience even the more better. You can Measure and Track your skin health. Search "My Own" in the App Store. 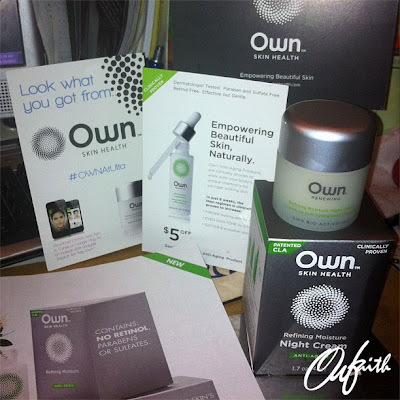 My Own gives you a precise analysis of the signs of aging on your face. You're able to take a high quality photo through the app, and optimize it through the photo diagnostic technology. I would like to thank iFabbo & Own Skin Health for giving me this opportunity to review this product and bring something new to my followers and my industry! Remember a little goes a long way with this product! This product retails for $24.99 for a 1.7 oz (48g) jar. Have you tried this product before? What are your thoughts on it?